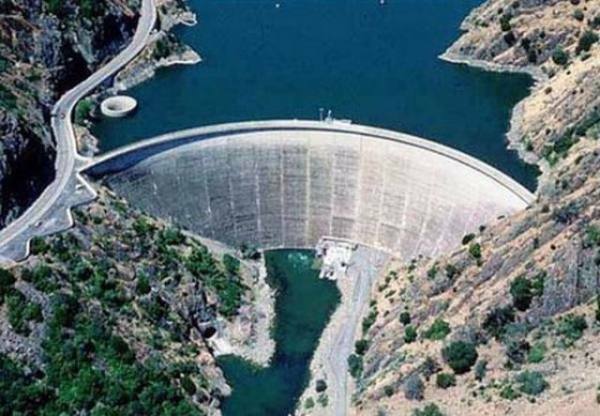 On these photos you can see Monticello Dam that is holding back Putah Creek (a river in California) and forming Lake Berryessa. 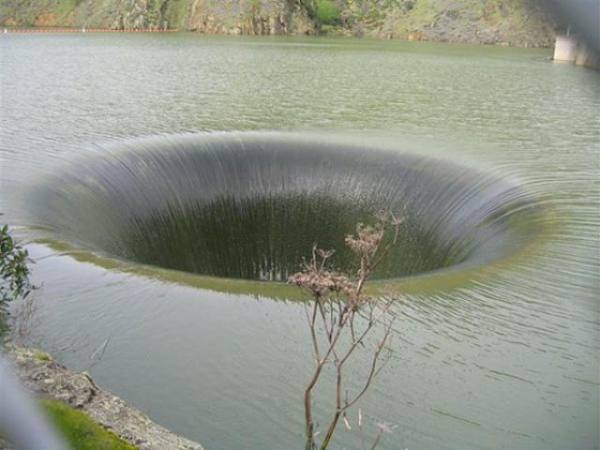 This place is known as American “Glory Hole”. 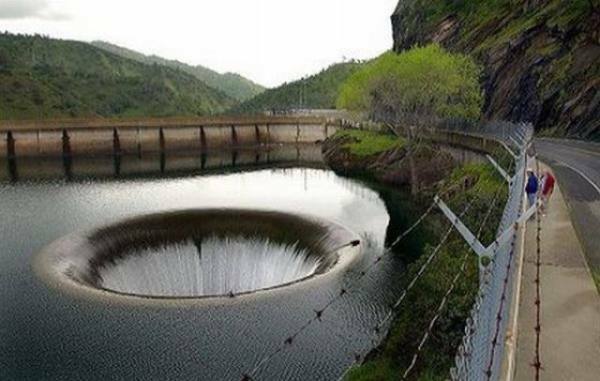 This weird name was given to this dam because of its spillway. 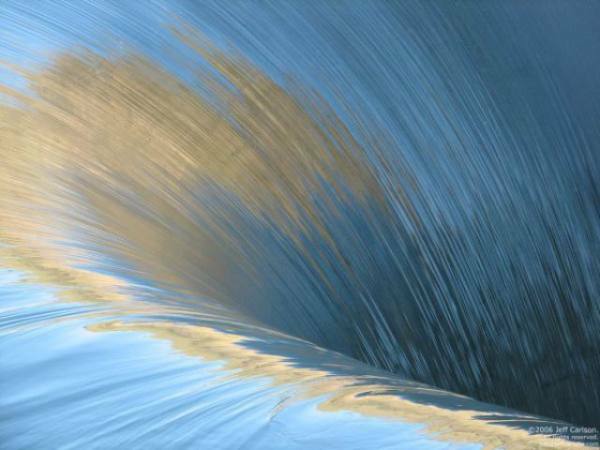 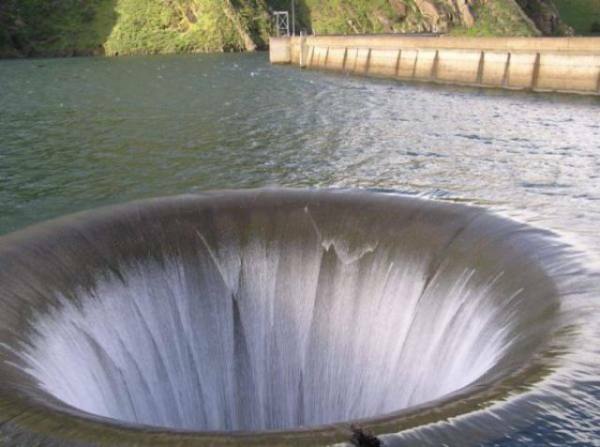 Most dams work this way: their spillway goes to the side managing high waters. 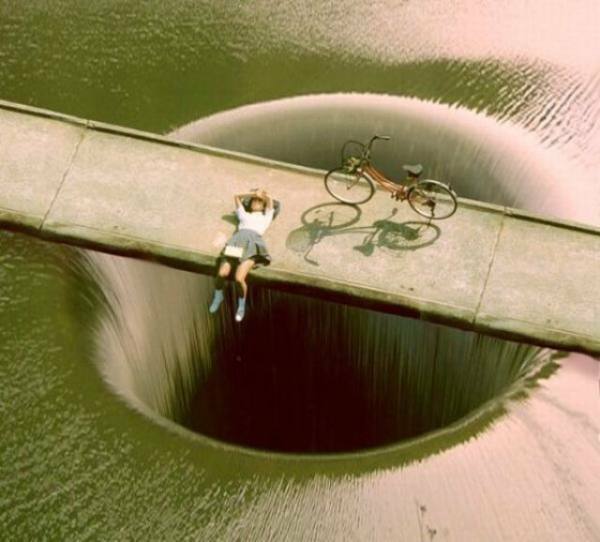 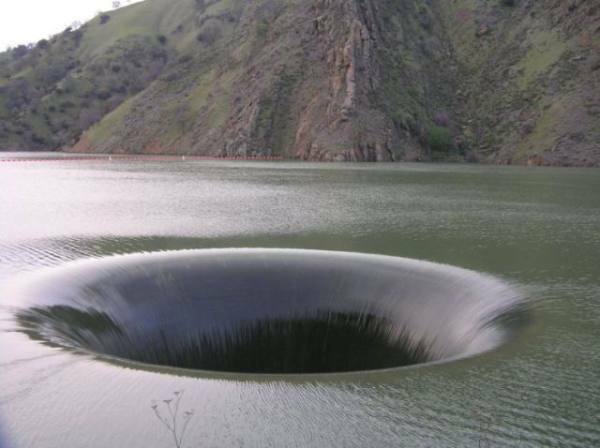 However Monticello dam has a morning glory spillway that is surrounded by water. 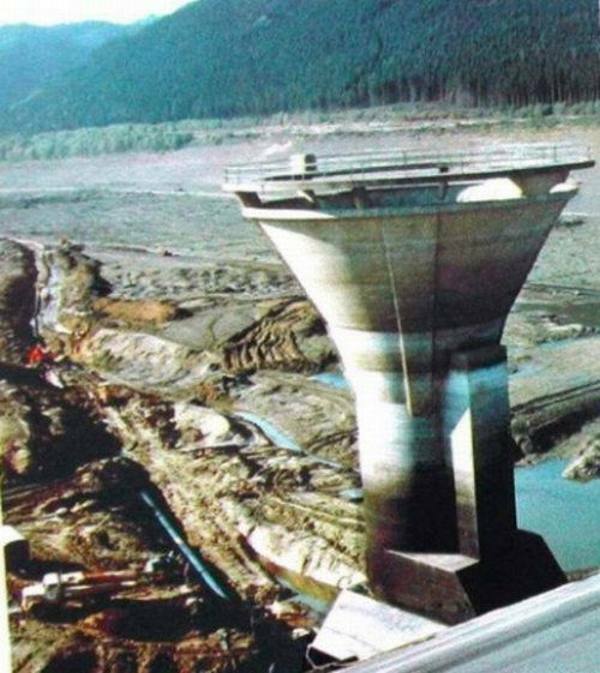 This spillway is mostly a concrete funnel. 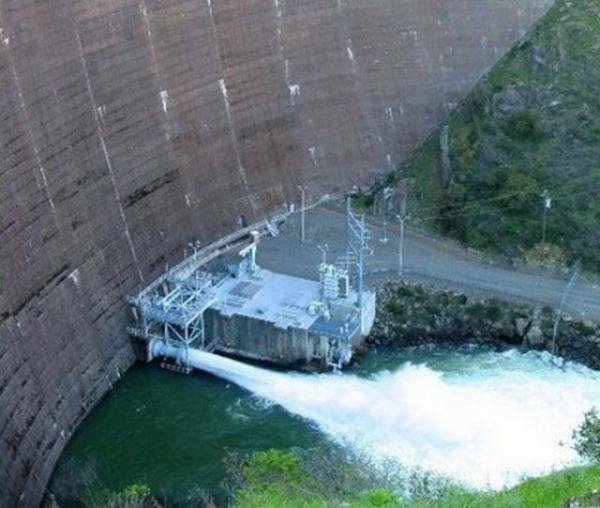 When Berryessa is high and water level exceeds project limit, you can see water going over the edge of the spillway creating a pretty but rather frightening spectacle.